USPA NEWS - Was held a Press Conference at Intercontinental Paris Le Grand, on January 24, 2019, regarding the "First Global Itinerant Competition dedicated to Female Orchestra Conductors called "MAWOMA (Music And Women Maestra). 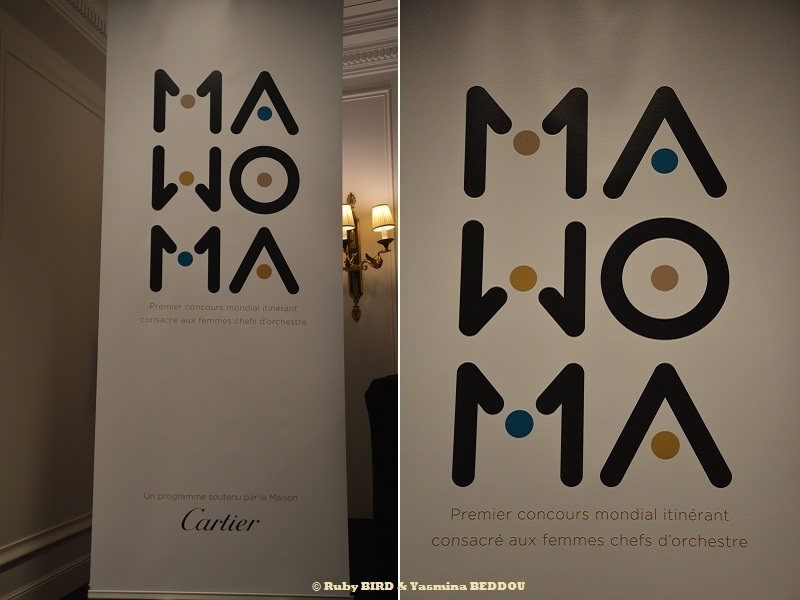 Was held a Press Conference at Intercontinental Paris Le Grand, on January 24, 2019, regarding the "First Global Itinerant Competition dedicated to Female Orchestra Conductors called "MAWOMA (Music And Women Maestra). On January 24, 2019 was also launched Officially the First World Competition dedicated exclusively to Female Orchestra Conductors, at a Gala Evening at the International Paris - Le Grand in Paris.. 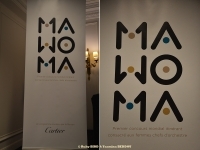 Founded by Clemence Guerrand in Partnership with Cartier, MAWOMA is unprecedented and itinerant. The Competition will start in April, in effect successively unfurling across the SIX CONTINENTS, traveling from Vienna to Rio, passing through Los Angeles, Johannnesburg, Sydney and Tokyo... To honour and highlight the Talents of Young Women of All Nationalities. Musicians from Each Continent are invited to take part up until the Final which will take place qt the End of 2019 in PARIS, bringing together the SIX WINNERS of Each Stage across the Six Continents. Clémence Guerrand (Founder & President of MAWOMA) claims that it will promote "A shared Understanding Music. Music is an Universal Language. The Love and Creation of Music know No Discrimination with Regards to Barriers or Gender. This Universality does, however, persistently find itself up against a Tenacious Stumbling Block : conducting an Orchestra. Whatever it's conducting a Symphony or Directing an Opera, Leading Musicians in an Orchestra is not, in itself, a Masculine Profession. It should not be this Way, now or henceforth, at a Time when Women Lead their Working Lives, in many Ways and on many Fronts, in the Capacity of Fully-Fledged Orchestra Conductors." During her Career as a Concert Pianist, Clémence Guerrand was able to observe how the Profession of Conductor was in decline for Females. At the Beginning of the 20th Century, Nadia Boulanger, who directed the Paris Philharmonic Orchestra before becoming the First Woman to conduct The London Philharmonic Orchestra in 1936, the Boston Symphony Orchestra, established herself in a No-Man's Land of Conductors. Nearly a Century later, when Women work as Fighter Pilots and Bus Drivers, have risen to the Highest Rung of the Ladder in teams of Chefs in Great Restaurants, risen to the Top Rank of Government, and ensured that they are at Board Level of Large Companies, the Figures are more telling than a Long Sad Tale of the Continued Low Representation of Females as Orchestra Leaders : Internationally, they are a mere 21, and as for Male Conductors, there are 586. As the Expressive Heart of the Orchestra, it is the Conductor who quite literally takes Center Stage at Every Orchestral Performance. The Conductor shapes the Music, making Important Musical Decisions on Dynamic, Tempo, and Balance. Not only are they Great Leaders, but the Best Conductors are also able to interpret the Same Musical Work performed countless times before in New and Enlightening Ways.... What makes the Lack of Women Conductors even more astonishing is that in Other Areas of Classical Music the Balance between Women and Men is fairly equal. Gone are the Days of Male only Orchestras and Women’s Restricted Access to Composition Classes. Today, Blind Auditions have become the Norm for Orchestras, where Candidates play behind Screens so Judges cannot be influenced by their Gender, Race or Appearance. What is it about the Conducting Profession, then, that makes it so difficult for Women to ascend to the Podium ? The Argument that not as many Women are attempting to become Leading Conductors is Superfluous given that it is Impossible to either prove or disprove. But should we really expect Players to respond in the same Way to Women Conductors as they do to men ? To come back to MAWOMA, the Festival is conceived and designed to launch a Globally Influential Movement and to allow Female Conductor Role Models to emerge, which are currently lacking in the Profession.... One Voice, which Today MAWOMA wants the World to hear. Reserved for Women Only, the Competition is open to Candidates of All Nationalities, aged UNDER 40. Applications are open Three Months before Each Event. The Application File, available Online at mawoma-awards.com must comprise a Cover Letter, a Letter of Recomandation, a CV displaying Training and Career Path, as well as a Video of the Candidate showing Experience in Conducting an Orchestra.... The Event will take place in Each Town in Front of The Public. Source : Press Conference at Intercontinental Paris - Le Grand in Paris; on January 24, 2019.